An app that is designed for social media. Twimmage! Twimmage is a new application that will convert your tweets to beautiful and simple Image. This image can also be shared to other social media platforms or to your tweeter directly. You can add a background using their templates or you can have a custom background. 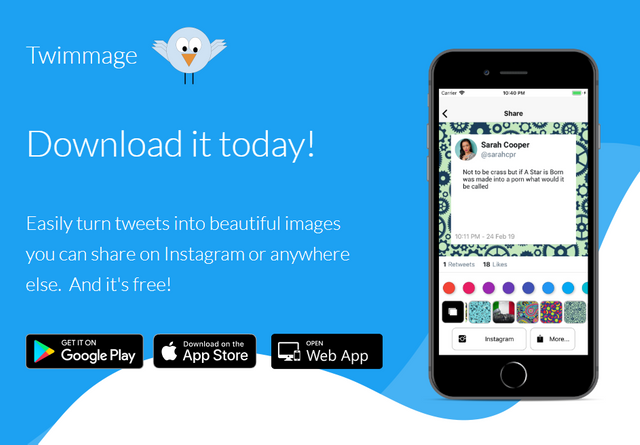 Twimmage is free so try it now!